In Afghan culture, it is possible for a father to sell his daughter and receive anywhere between nine cows to fifty sheep. Sabere was only seven when her father died in the war and her uncle ‘inherited’ her. Her uncle then sold her when she was ten to a 50 year-old man who made her pregnant four times, but she miscarried each time. 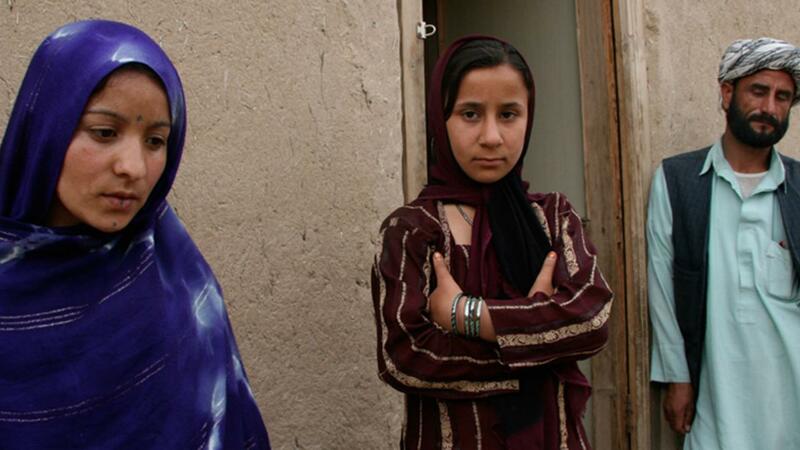 Finally, at 16, Sabere fled and now lives in a safe house in Mazar-e Sharif. Sabere’s mother, who was also inherited by the same uncle, bore him a daughter, Farzaneh, who is now eleven. In order to afford a new, young wife who might provide him with a son, the uncle is determined to sell Farzaneh when she is 15 years old. But the buyer’s family wants to take her immediately.